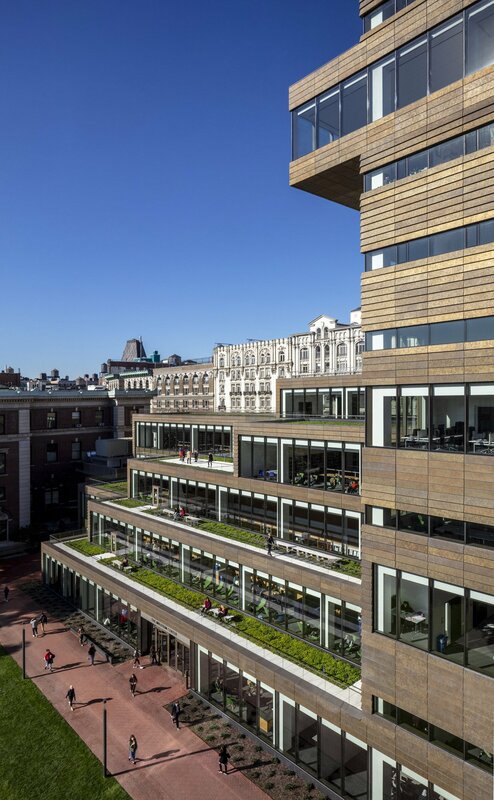 For more than 125 years, Barnard College has been known for its distinctive academic culture—dedicated to women of intellect, ambition, and vision, devoted to the integration of teaching and scholarship, embracing its relationship with Columbia University, and imbued with the vibrancy of New York City. 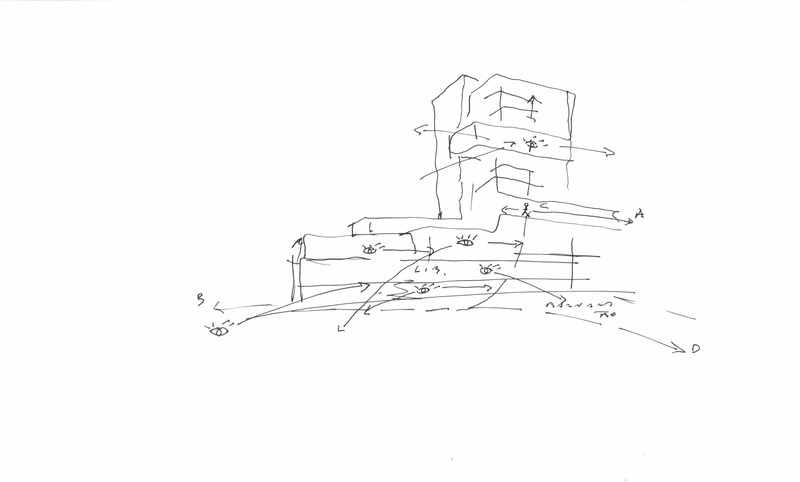 To carry its mission into the future, the College has constructed a new place of interdisciplinary scholarship at the heart of its campus. 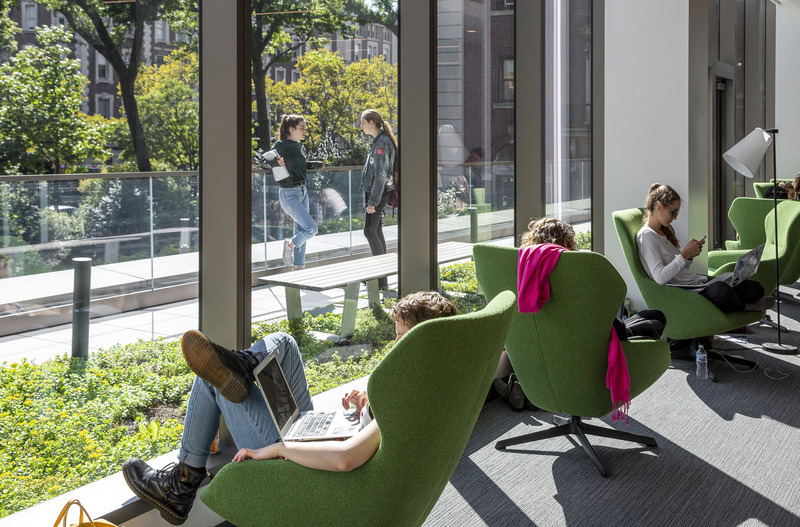 When it opens for the Fall 2018 semester, The Cheryl and Philip Milstein Center for Teaching and Learning will become the hub of academic and intellectual life at Barnard and reinforce its commitment to sustainability and climate action. 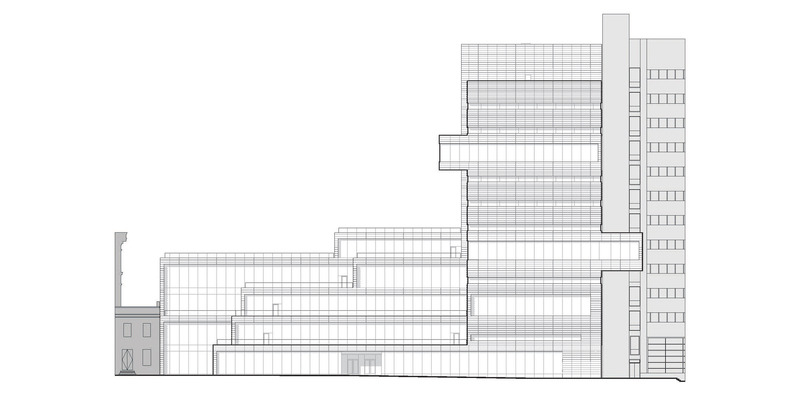 SOM designed the 128,000-square-foot building to serve as a crossroads of knowledge, teaching, and learning. 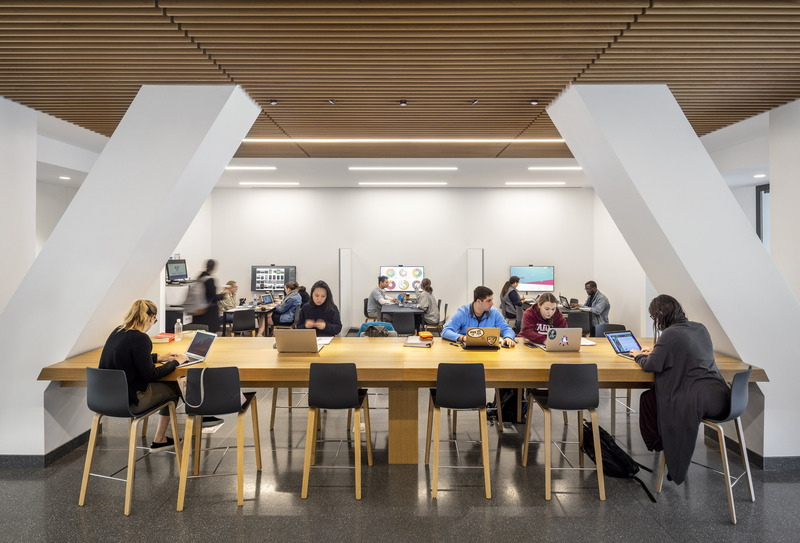 The Milstein Center encourages dialogue between students and faculty, brings technology seamlessly into flexible classrooms and multimodal learning centers, and provides a variety of inspiring spaces for reflection, team-based learning, research, and collaboration. 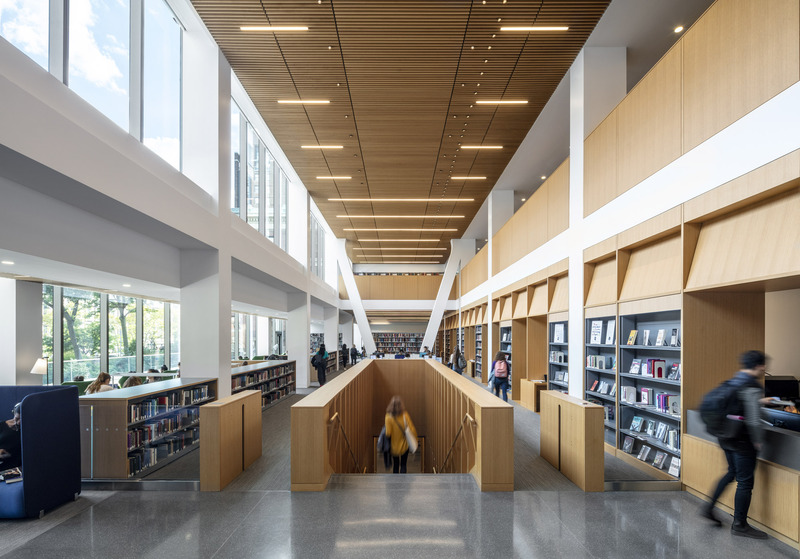 The focal point of The Milstein Center is a new kind of library. 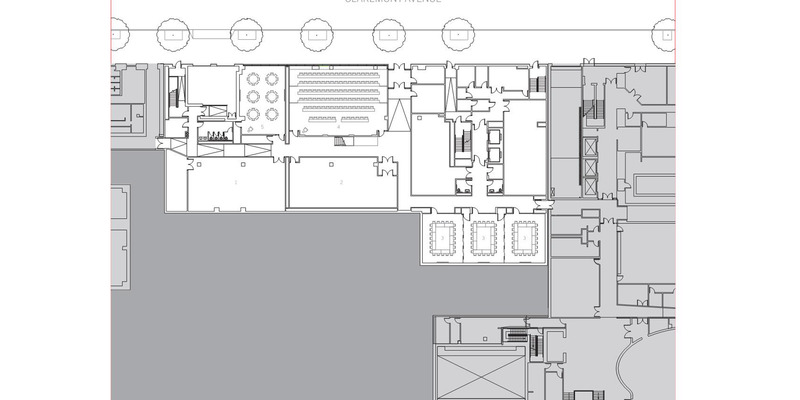 It celebrates Barnard’s collections and archives, while enhancing options for students. 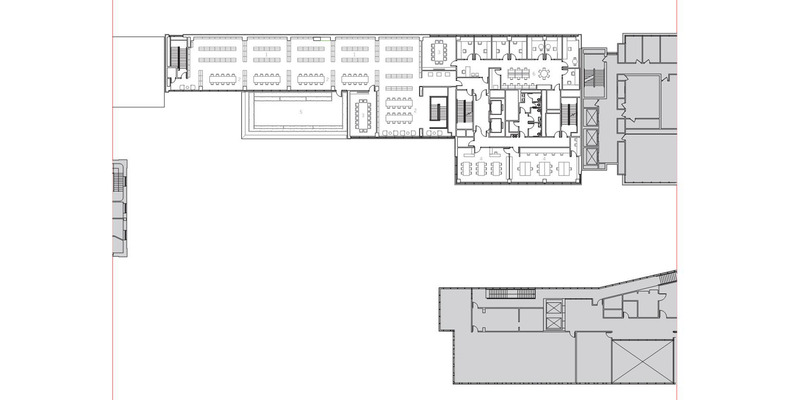 The design infuses a variety of study spaces with opportunities for creative, exploratory learning. 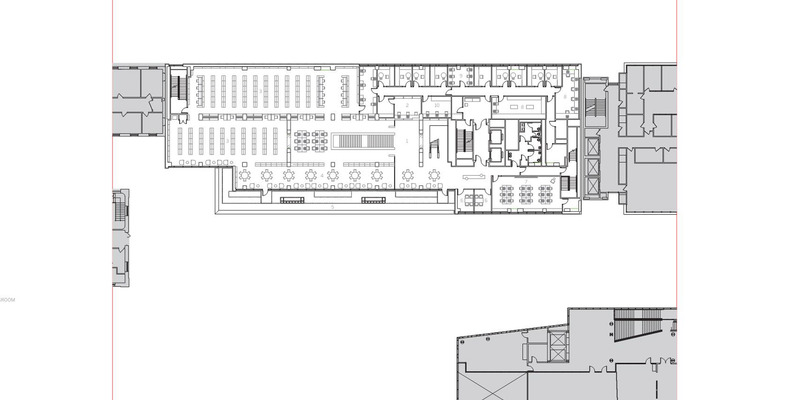 It provides settings suited to individuals, small teams, and large groups, along with state-of-the-art multimedia centers. 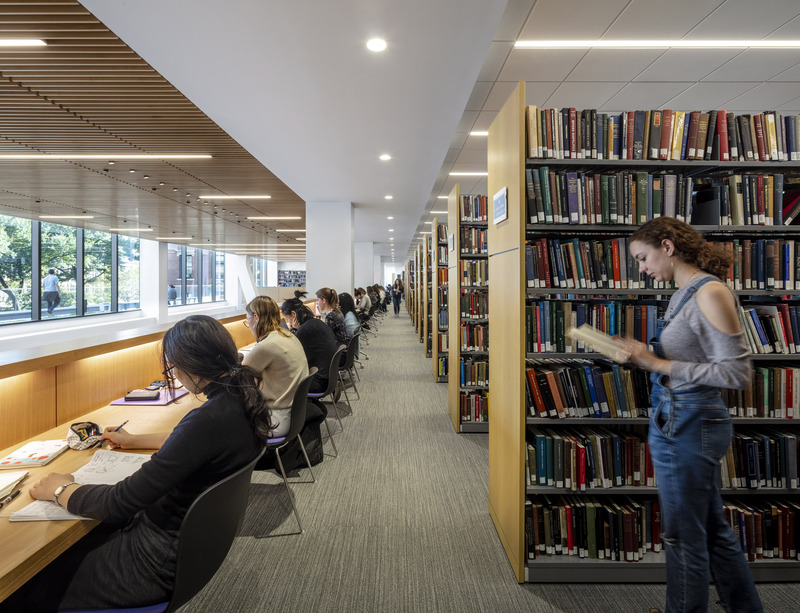 The library links all departments and disciplines across the campus—physically, digitally, and philosophically. 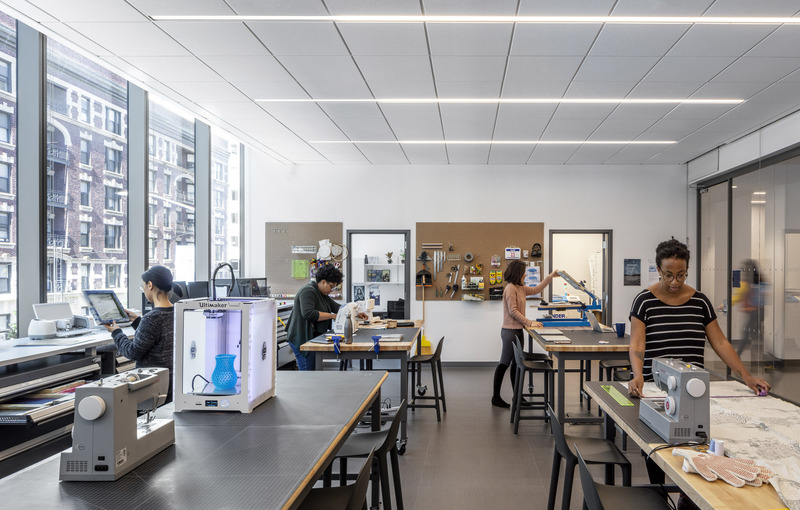 It is connected to a range of flexible learning spaces, including centers for pedagogy, empirical reasoning, digital humanities, design, and media, and a movement lab. 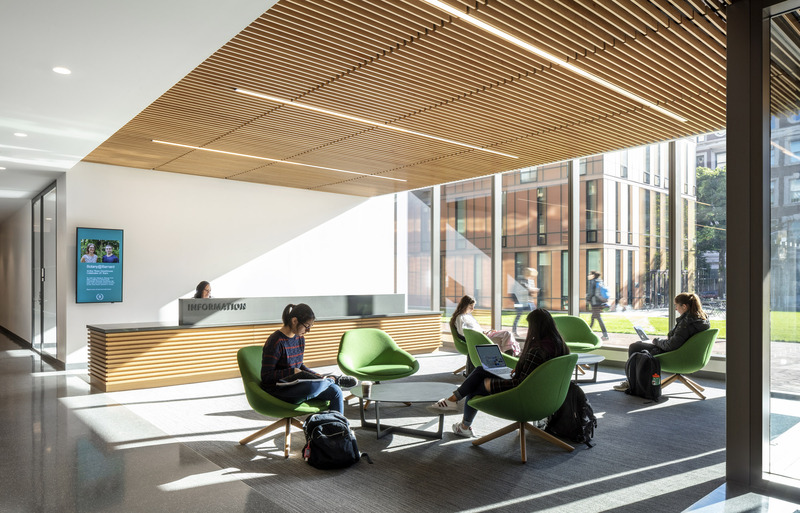 Above the library is the Vagelos Computational Science Center, where students and faculty can collaborate on pioneering research in data and computation. 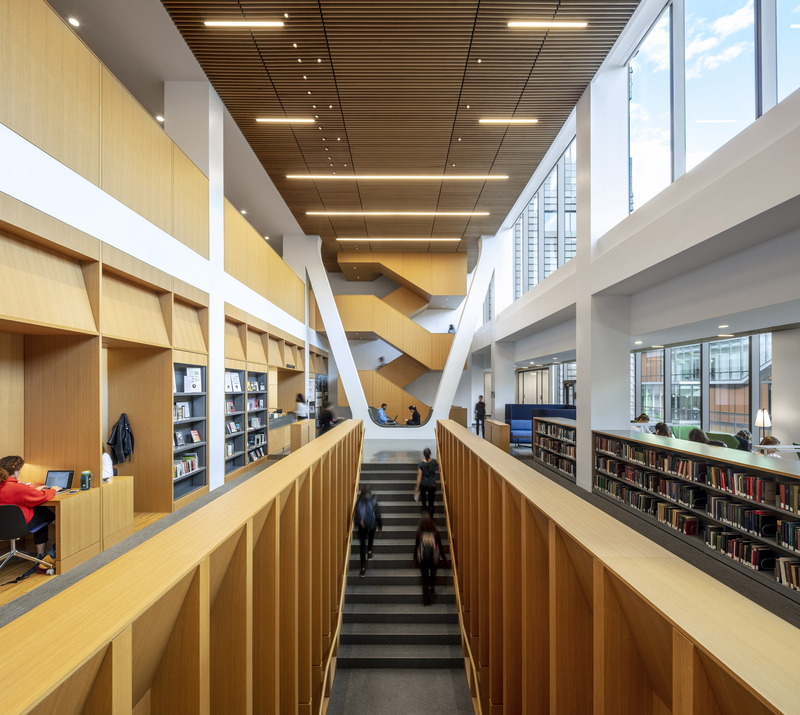 Careful lighting design throughout the building combines natural light, programmed lighting scenes, and individual controls to enhance learning environments while contributing to energy savings. 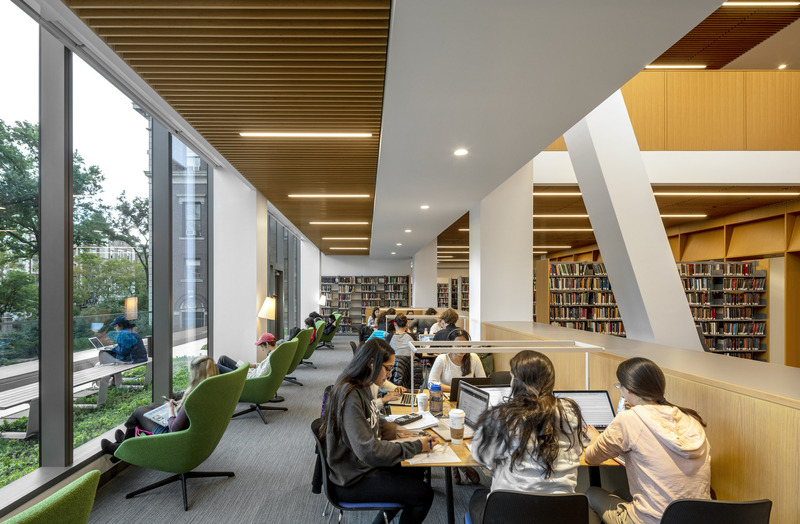 In addition to the library, The Milstein Center provides conference facilities, interdisciplinary workspaces for four academic departments, and a new home for the Athena Center for Leadership Studies and the Barnard Center for Research on Women. 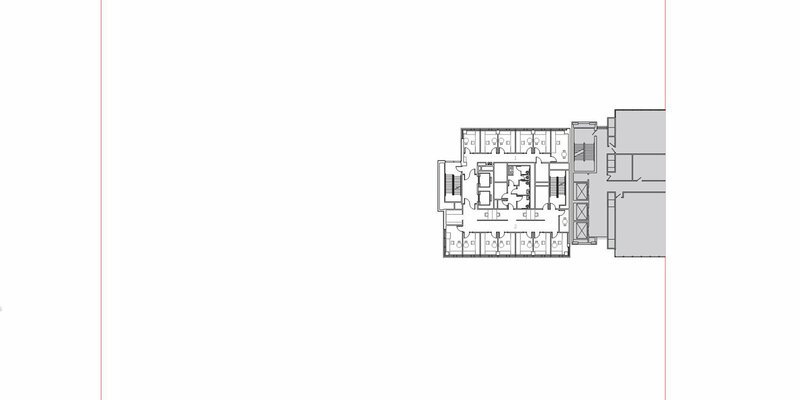 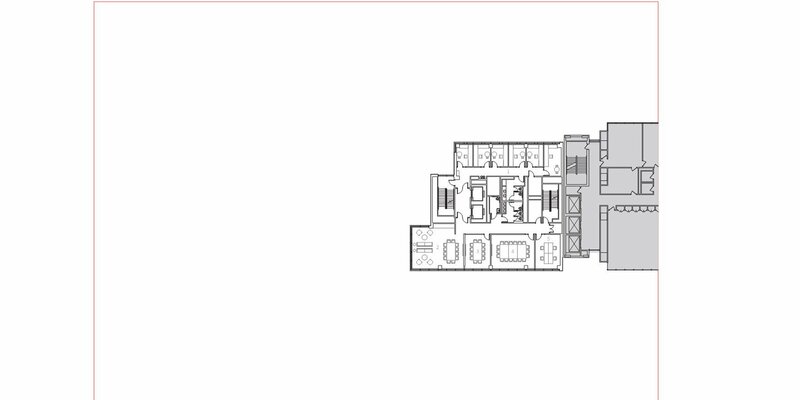 The ground floor features a small coffee bar that is open to the public, while the building’s upper stories accommodate faculty offices. 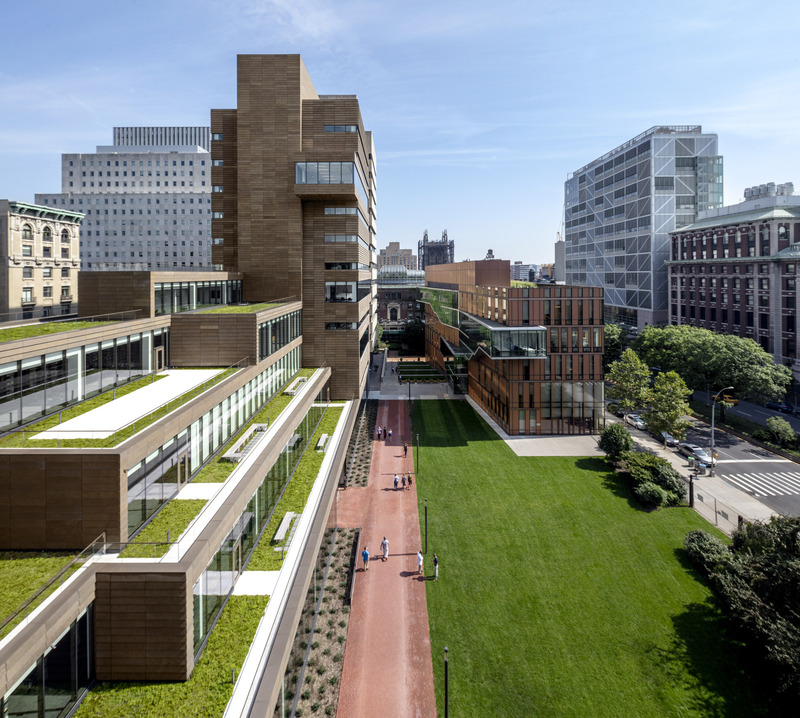 SOM designed The Milstein Center in response to its prominent location overlooking the Lawn—the signature open space on the Barnard campus. 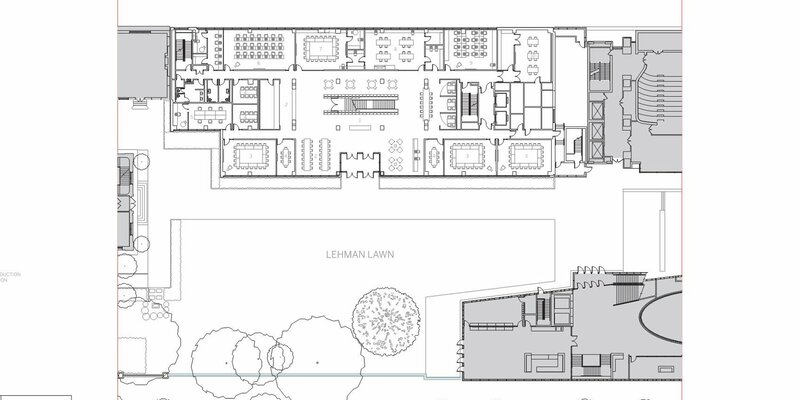 The building’s massing, with a five-story base that rises in a series of terraces, maximizes the amount of sunlight that reaches the Lawn throughout the day. 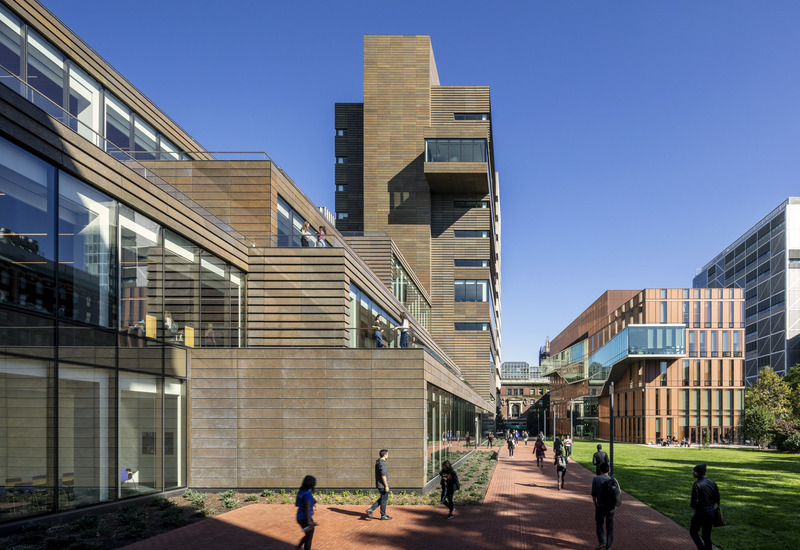 These terraces reduce the heat island effect and provide a series of inviting, outdoor spaces for study, contemplation, and connection to nature within the urban campus. 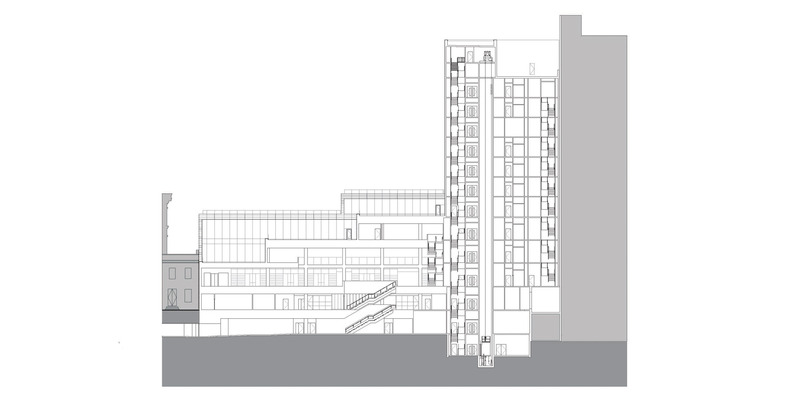 On the west side of The Milstein Center, a narrow, eleven-story tower aligns with the neighboring building, Altschul Hall. 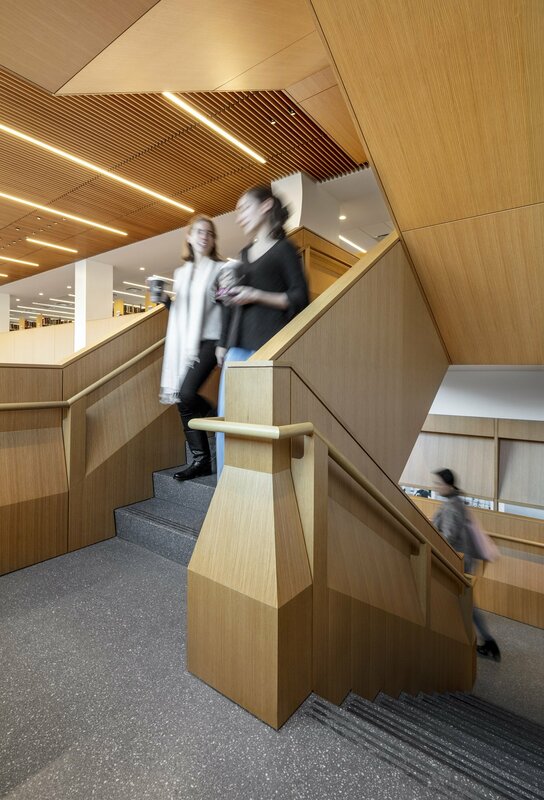 The skybridge at the fifth floor links the two buildings to connect the Vagelos Computational Science Center with the science-focused spaces inside Altschul Hall. 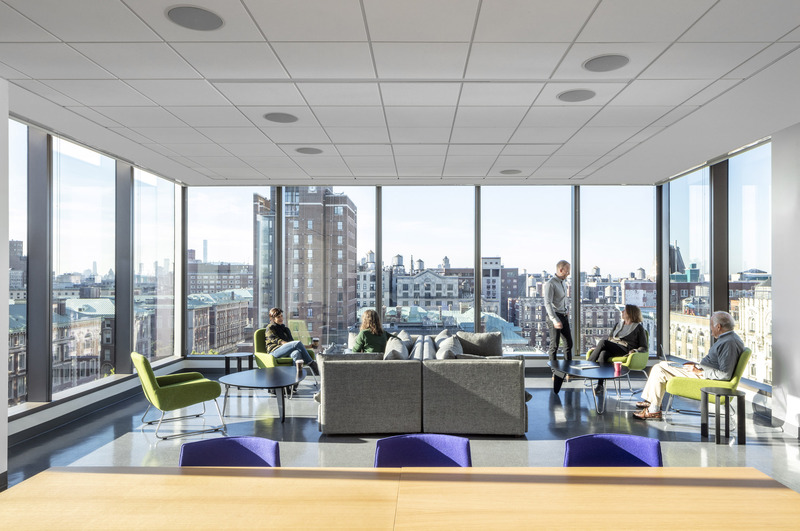 Near the top of The Milstein Center, a cantilevered volume contains a faculty lounge with sweeping views of the Hudson River, the Columbia University campus, and Midtown Manhattan. 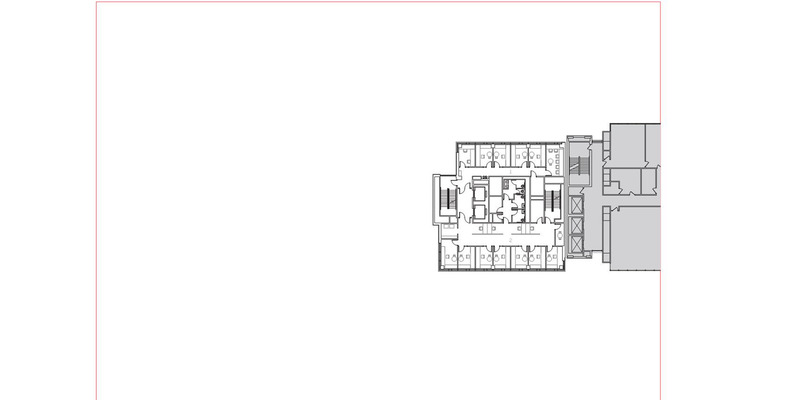 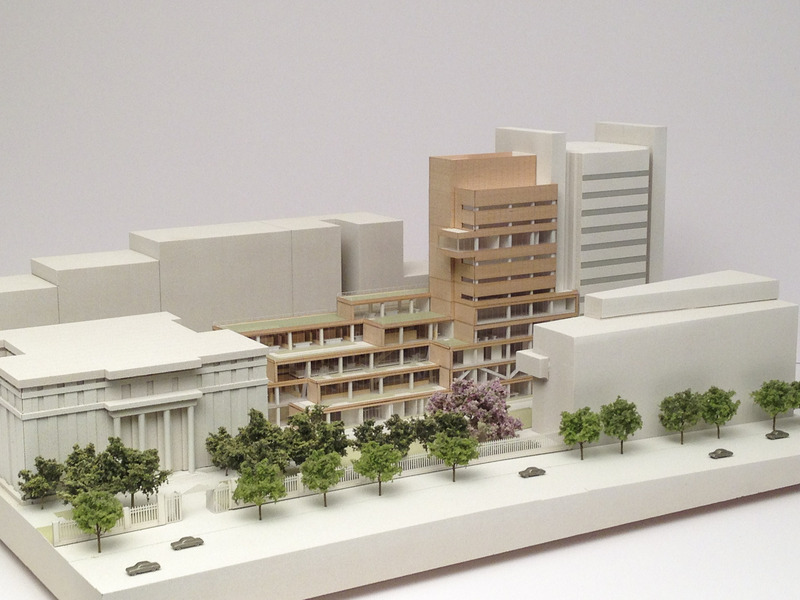 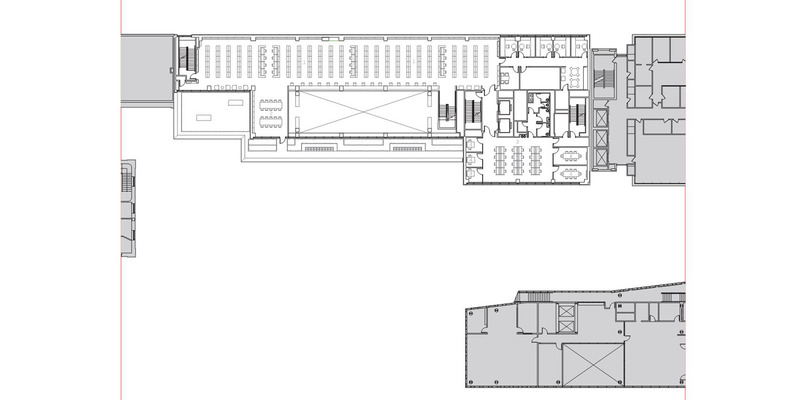 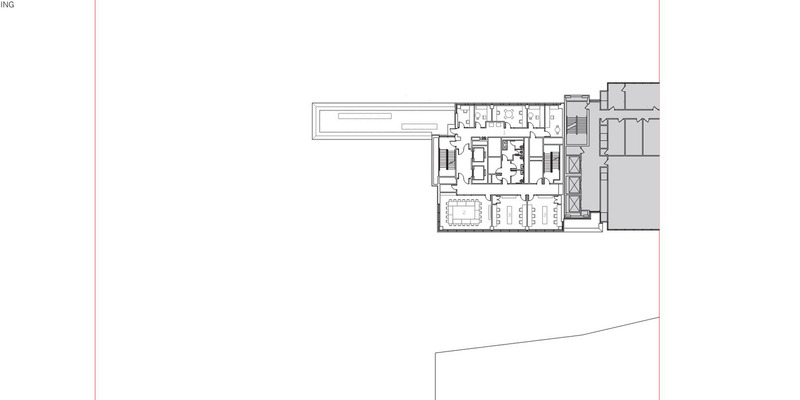 Much like the building’s massing, material selections are sensitive to the campus context. 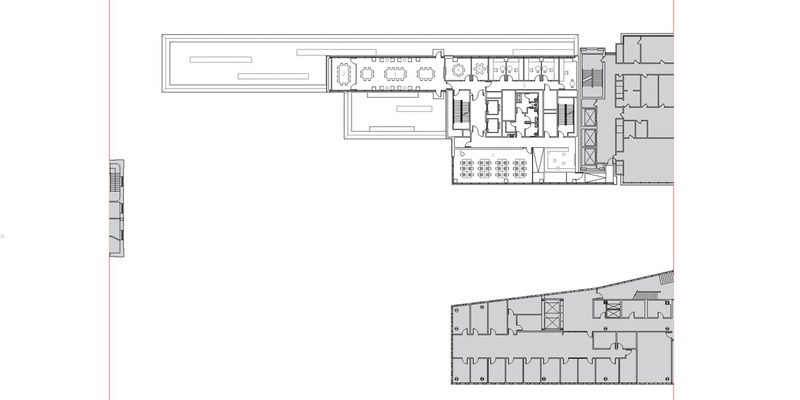 The facade uses a rain screen system of patinated zinc panels. 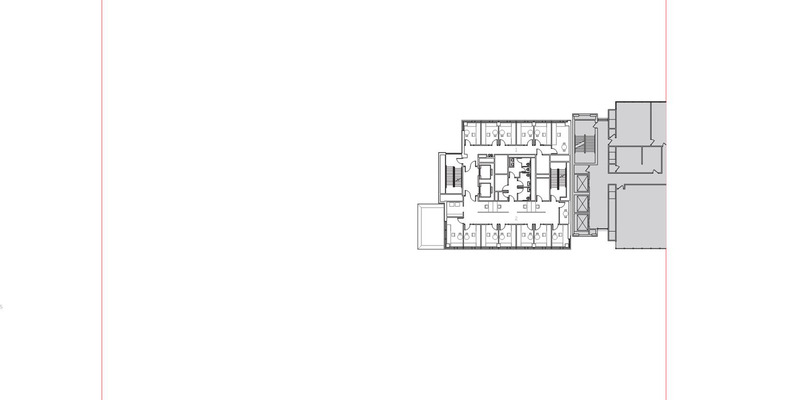 With a soft reflectivity and warmth, the zinc harmonizes with the surrounding brick, stone, and concrete buildings. 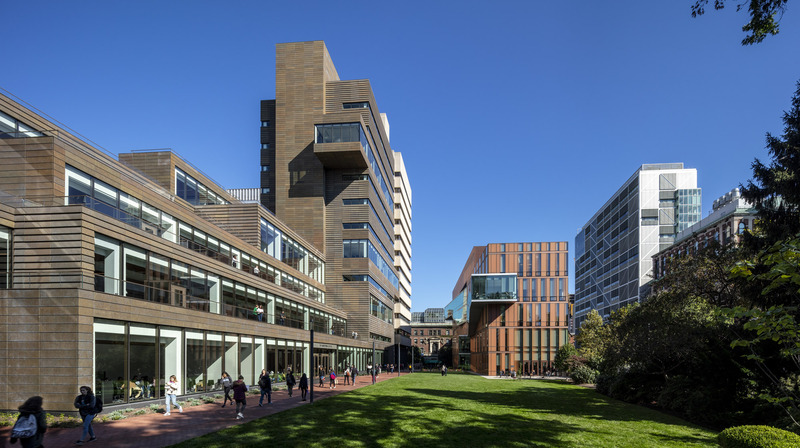 At the same time, the metal facade expresses a contemporary aesthetic that distinguishes The Milstein Center as a building of its time. 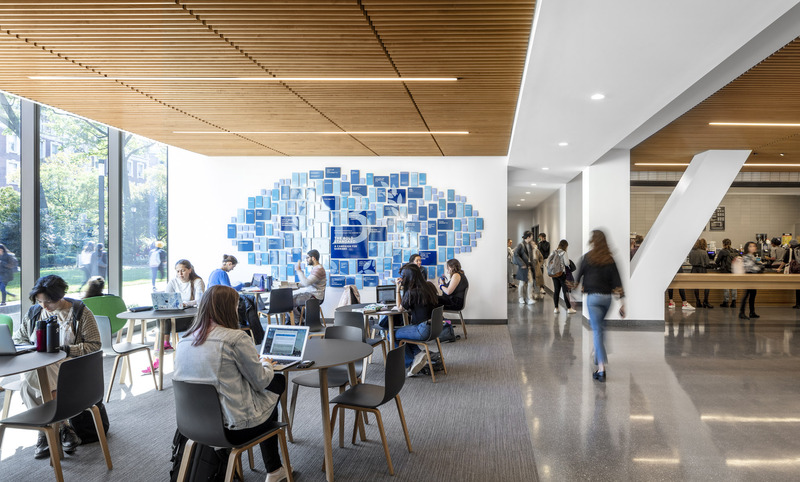 Targeting LEED v3 Silver certification, The Milstein Center continues Barnard College’s tradition of sustainable campus construction projects. 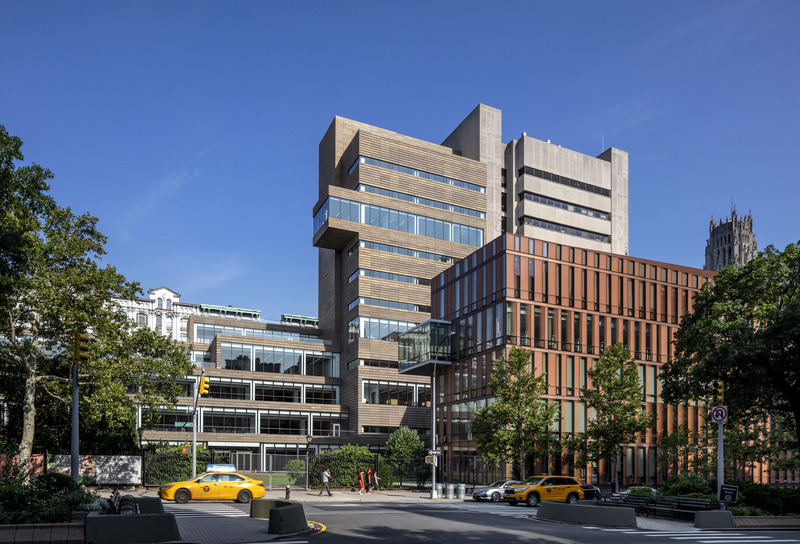 The building’s design features support both Barnard’s environmental curriculum and the behavior change programs being enacted by the student body and faculty. 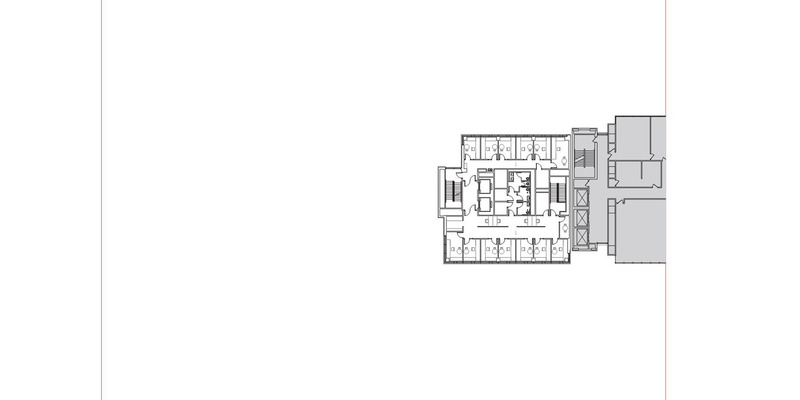 Aligned with the College’s vision to build a more sustainable campus and reduce carbon emissions, The Milstein Center is designed to achieve 15 percent energy cost savings compared to ASHRAE 90.1 2007, 33 percent water savings within the building, 50 percent water savings for landscape irrigation, and 90 percent construction waste diversion. 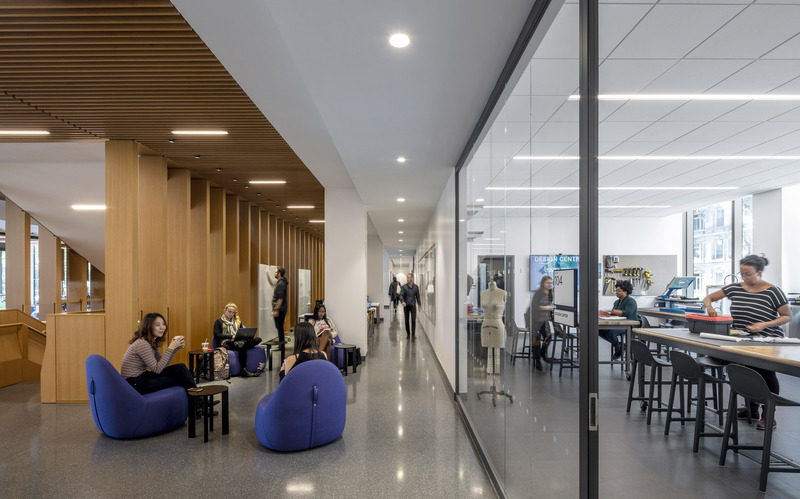 The Milstein Center embodies the culture of intellectual collaboration and interdisciplinary interchange that defines Barnard College. 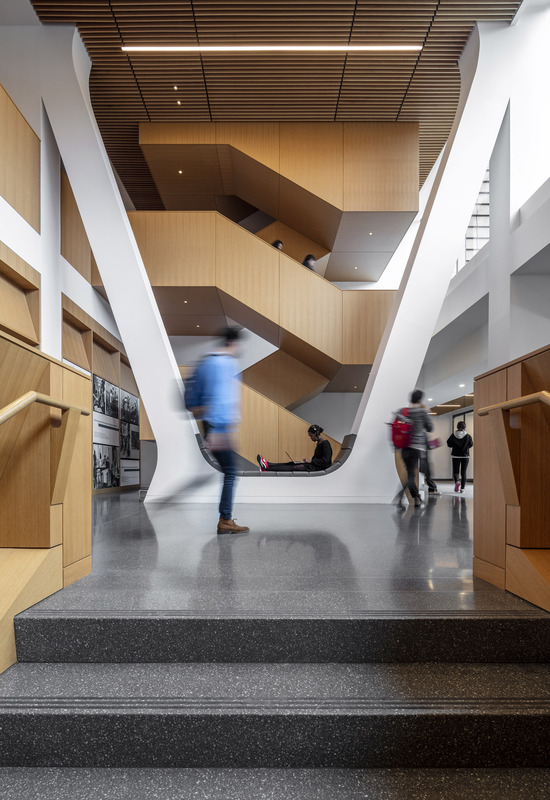 It creates cross-departmental ties, stimulates global connections, and fosters bonds between students and faculty. 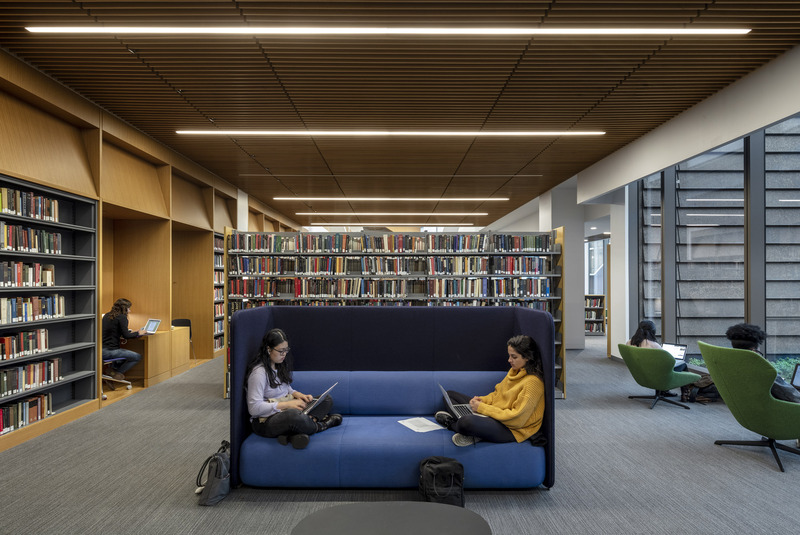 This transformative building prepares Barnard for another 125 years of service to women of intellect, ambition, and vision.